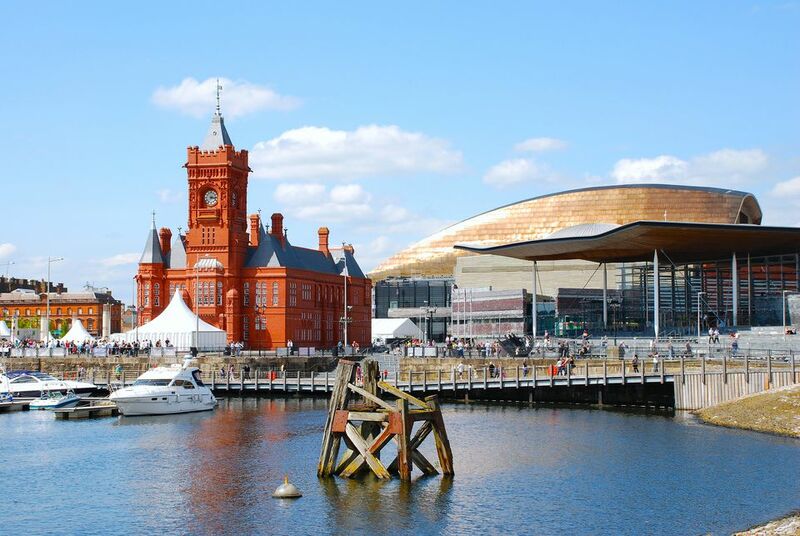 Cardiff is located 151 miles west of London, but good road and rail connections make it very easy to get to. With its Principality Stadium (formerly named Millennium Stadium) attracting thousands of international rugby and football fans and the Wales Millennium Centre (now Wales's number one visitor attraction), the capital of Wales has fast become one of the UK's top 10 destinations for foreign visitors. In fact, this university city has experienced something of a style and entertainment renaissance in recent years. And you can be there by train in about two hours. So what are you waiting for? Great Western Railway operates direct trains to Cardiff Central Station from Paddington Station in London on their Swansea line. Trains leave every half hour during the busiest times of the day and the journey takes a little over 2 hours. The more flexible you are about your travel time, the more you can save on ticket prices. Do be careful to request "single" or one-way tickets because round trip tickets for this journey can cost more than £100. UK travel tip: The cheapest train fares are those designated "Advance" - how far in advance depends upon the journey as most rail companies offer advance fares on a first come first served basis. Advance tickets are usually sold as one-way or "single" tickets. Whether or not you buy advance tickets, always compare the "single" ticket price to the round trip or "return" price as it is often cheaper to buy two single tickets rather than one round trip ticket. The difference on a trip between London and Cardiff is dramatic with standard fares being as much as two or three times the advance fares. Buses from London to Cardiff take between 3 hours and 30 minutes and 3 hours and 45 minutes. Advance fares cost between £10 and £20 round trip when purchased as two, one-way tickets, though if you are willing to book several months in advance and travel on off-peak times, you could do this trip very inexpensively. National Express operates a regular bus service between Victoria Coach Station in London and Cardiff Bus Station. Last minute tickets for this trip cost about twice as much though. There is also direct bus service to Cardiff Airport and Cardiff University. Bus tickets can be purchased online. UK travel tip: National Express offers a limited number of "funfare" promotional tickets that are very cheap. These can only be purchased online and they are usually posted on the website a month to a few weeks before the trip. It is worth checking the website to see if "funfare" tickets are available for your chosen journey. Visit the National Express website and look for a box that says "Online exclusives" and "Use our fare finder". If cheap fares are available for your trip, that's where you'll find them. It helps if you can be flexible about dates. Cardiff, which is located 151 miles west of London via the M4 and M48 motorways, takes about 3 hours to drive in perfect conditions, but the M4 can become congested near London. Keep in mind also that gasoline, called petrol in the UK, is sold by the liter (a little more than a quart) and the price is usually between $1.25 and $1.50 a quart. In October 2018, for example, the average price for a US gallon of gasoline was $3.